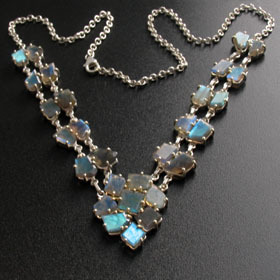 Our labradorite necklaces are set in sterling silver. Once you see the glowing labradoresence, you'll love this gemstone! A combination of blues, greens, turquoise and golds take centre stage and change as the gemstones move in the light. 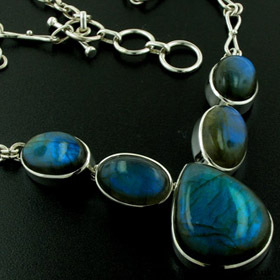 Treat yourself to a Labradorite Necklace. 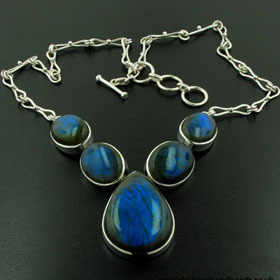 Enjoy free delivery on your labradorite silver necklace.